Tasha Lewis studied Studio Art and Literature at Swarthmore College, in Swarthmore, PA. A year after graduating, she moved to New York City to pursue her career as a sculptor. In the fall of 2015 Lewis was the first two-month resident at the StudioWorks program at the Tides Institute in Eastport, Maine. During that residency, she created 644 works on paper in 18 different artistic styles / materials each in response to a single page in James Joyce’s infamous novel Ulysses. She self-published that project as a book called “Illustrating Joyce’s Ulysses in Eight Weeks.” The book was favorably featured by Harvard professor Louis Menand in his 2016 Bloomsday article for The New Yorker. Lewis has forthcoming exhibits at Philadelphia’s Magic Gardens (Fall 2018) and the Parthenon Museum in Nashville, TN (Spring 2020). Both of these solo shows will feature sculptures from her developing body of work “Flood Lines” which seeks to engage in the conversation about anxiety and the treatment of women’s bodies. The pieces present tidal imagery with beaded encrustation set on Classical Greek artifacts. Swarm the World is soft cover art book chronicling the three year global collaborative street art project organized by Tasha Lewis with the help of 120 strangers— and a few friends — from all seven continents. 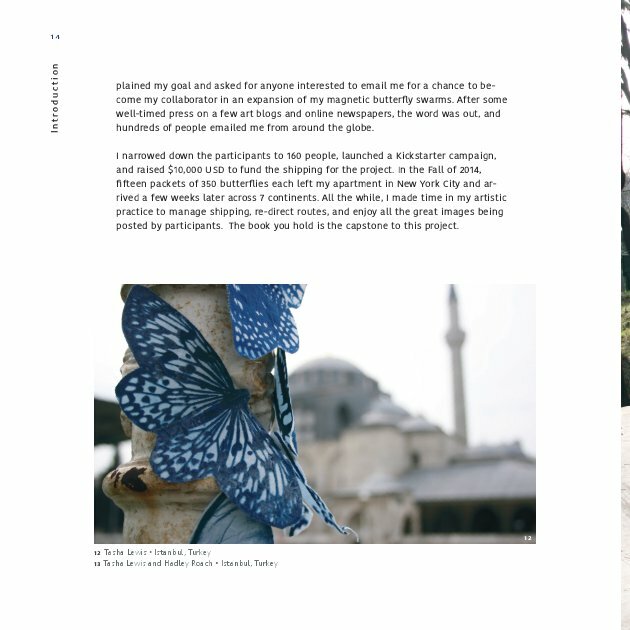 Spanning 45 different countries, 6,000 magnetic cyanotype butterflies traveled from person to person and were photographed in ephemeral public installations. This book is a curated collection that captures the heart of this whimsical project. It includes an introduction and afterword by Tasha as well as stories from several participants. It started in the summer of 2012 with a few butterflies, a handful of magnets and a camera. By sewing a magnet to the stiffened cyanotype fabric creatures, they gained autonomy. They now had the power to transform public spaces. 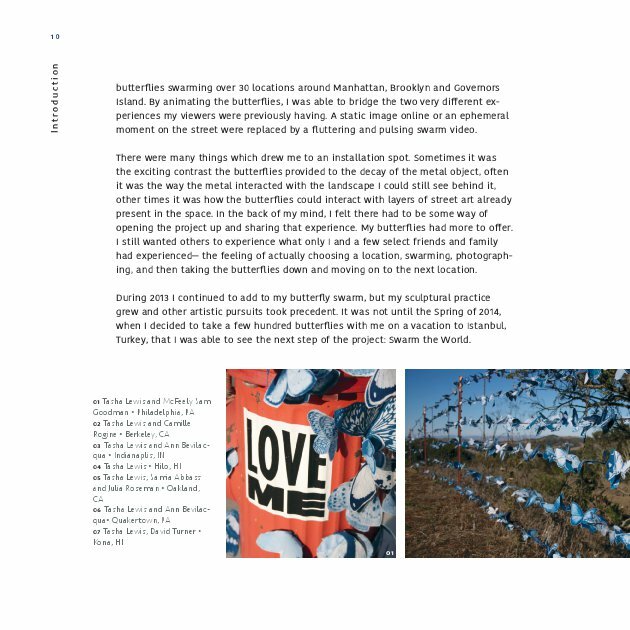 I swarmed the first 200 butterflies on utility boxes, fences and other metal objects around my hometown of Indianapolis, Indiana. The installations were ephemeral, lasting only 10-20 minutes. When I moved to New York City in the summer of 2013 I decided to break away from still images and try my hand at stop motion animation. 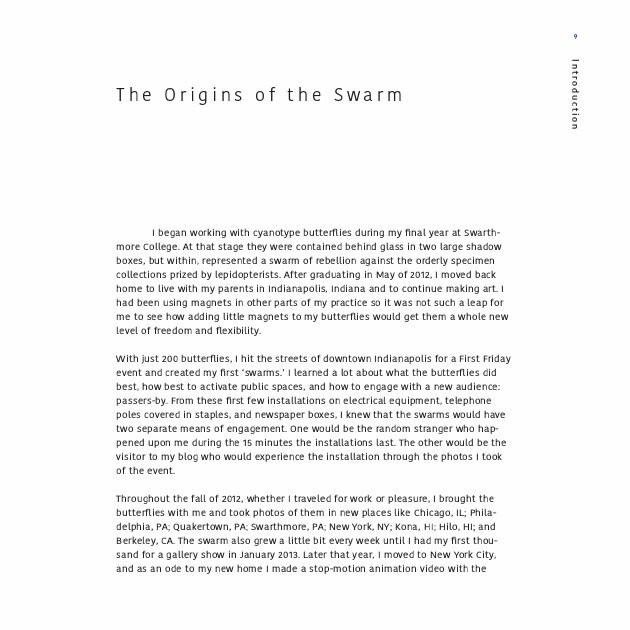 As the swarm developed, I wanted to open up the project to new audiences It was a late jet lagged night in the spring of 2014 while on vacation in Istanbul turkey when I had the idea. The realization was simple. People already lived all over the world- and for the butterflies to travel i merely needed to find interested collaborators and send them the butterflies. So that’s what I did. I made a website, gathered participants and organized regional routes for a total of 6,000 butterflies to travel. The people I connected with came from 45 different countries including Antarctica. 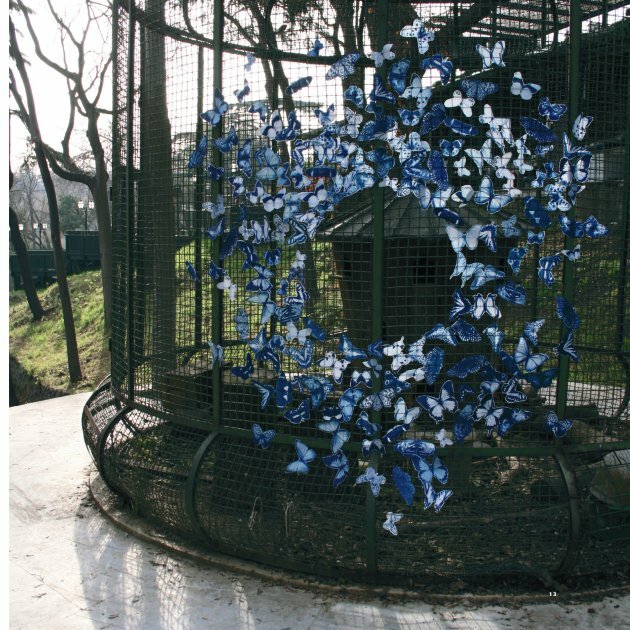 Once the first person installed the butterflies and photographed them around their town they would send them along to the next person and so on. 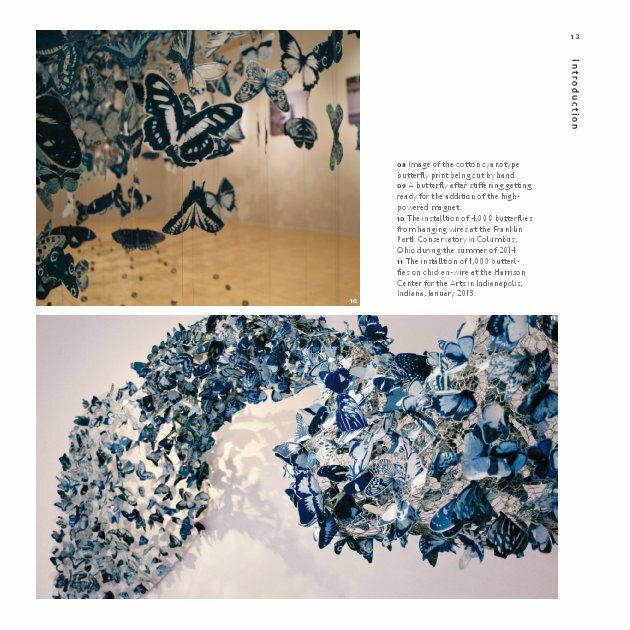 The book I designed from the thousands of resultant images has 260 pages and features installations from 120 different photographers. The participants include teachers, students, artists, scientists, bakers, translators and more. 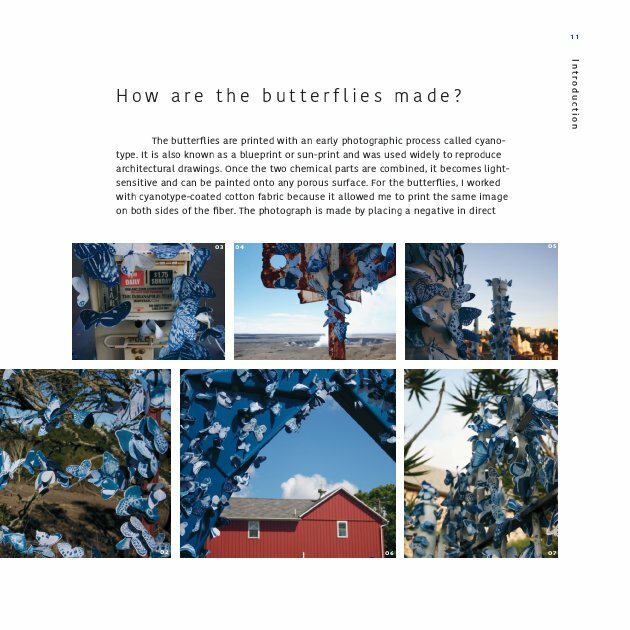 This book is an artifact of something bigger than the photographs of butterflies it contains. It shows that positive community building and collaboration can be facilitated by the internet. I trusted my art and gave my time to hundreds of strangers and what I received in return was truly magic.